Leaganul Bucovinei Boutique Hotel Suceava is famous for its traditional cuisine from Bucovina. Under management of the chef Aurica Breaban, we are entirely at your disposal with a delicious and generous menu, with traditional meals. We use local ingredients, from Bucovina. The specialties of the house include stuffed vine prepared in a clay pot, at wood fire, hot maize-porridge ball filled with cheese, tochitura from Bucovina (a traditional meal from Bucovina prepared by the frying of the pork with onion) cheese with sour cream and corn meal mush, fresh ewe, borsch from Bucovina, chicken broth with dumplings, soups with barrel sour water, marrow bones with cabbage, ribs, pies poale in brau, pound cake, pancakes, fruit dumplings, curd pancake and so on. Also, at request, we will offer you vegetarian food or special diet food. 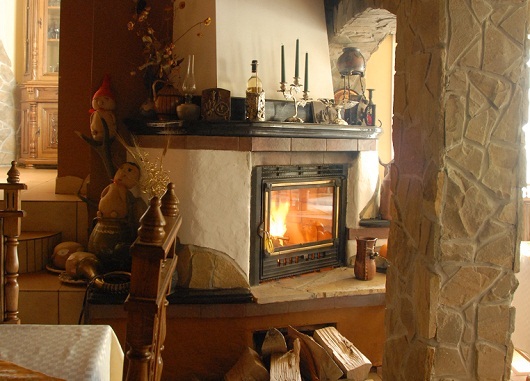 You can eat in the restaurant of our boutique hotel, which has a fireplace for the famous winter vacations from Bucovina. During the summer time, you can stay on a terrace in the cool garden of the boutique hotel.